RMB-denominated oil contracts began trading for the first time in Shanghai on March 26. We believe that in the long term this will ultimately change how oil is traded globally, create a Petroyuan currency flow, increase the role of the RMB as a global trading currency, and compel investors to up their allocations to Chinese financial assets. China passed the U.S. as the world's largest oil consumer in 2016. Accordingly, China wants to pay for its huge import bill in its own currency (RMB) rather than USD. Firstly, China will have to remove, or substantially reduce, capital controls for RMB-priced oil trading to take off and allow global commodity trading houses access to the INE. This way of trading has given the U.S. what's been described as an 'exorbitant privilege' – where oil exporters recycle their dollar receipts back into U.S. financial markets, keeping US interest rates low and supporting persistent current account deficits. 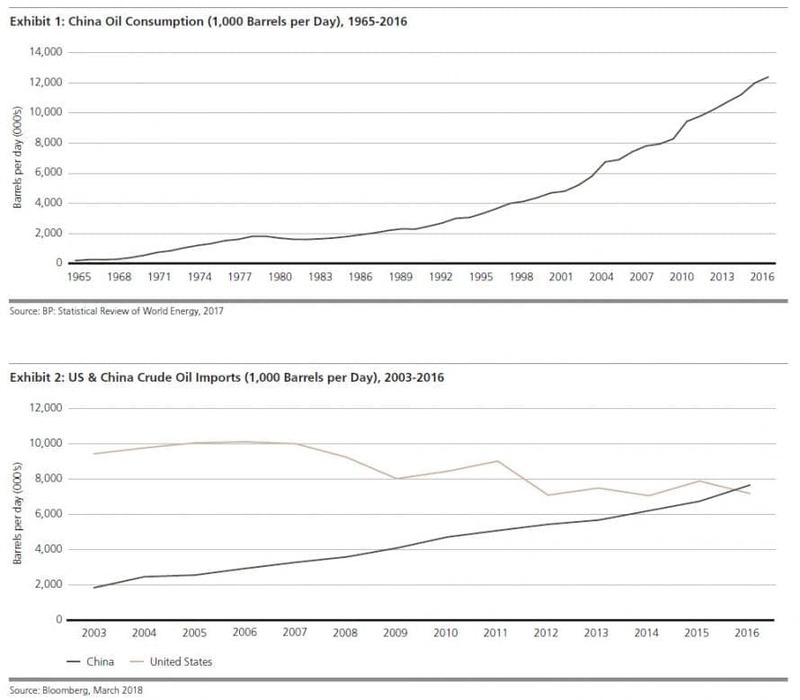 But that's about to change – especially now that China has become the largest global oil consumer. 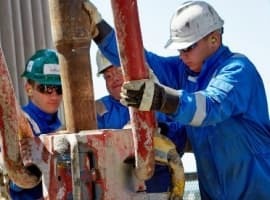 China's role is only expected to increase, since BP forecasts annual demand will grow 30.6 percent to 753 million tons per year in 2040, while the U.S. will likely reduce their reliance on oil imports by developing domestic shale oil capacity. 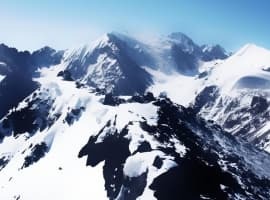 What could possibly go wrong when you have a Communist Country (China) along with a strong ally in Russia, another Communist Country, starting to control World money flows? 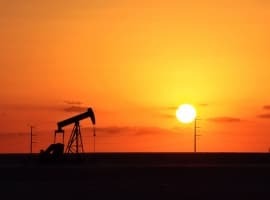 The Petro-yuan could prove to be a momentous game changer for the global energy markets, the global economy, the effectiveness of US sanctions and the petrodollar. There is no doubt that the petro-yuan will undermine the petrodollar’s dominance in the global oil market. The Chinese would like to see global currency usage reflect this shift in global economic power. At the moment, most global trade is conducted in US dollars and more than 60% of all global foreign exchange reserves are held in US dollars. This gives the United States an enormous built-in advantage. The launching of the petro-yuan could be a “wake up call” for the United States. 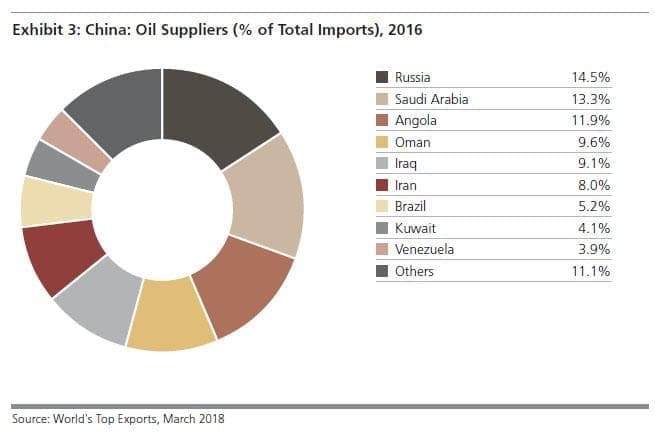 Moving oil trade out of the petrodollar into the petro-yuan could take initially between $600 billion and $1000 billion worth of transactions out of the petrodollar. Maintaining the petrodollar is America’s primary goal. Everything else is secondary. The petrodollar system provides at least three immediate benefits to the United States. It increases global demand for US dollars. It also increases global demand for US debt securities and it gives the United States the ability to buy oil with a currency it can print at will. In geopolitical terms, the petrodollar lends vast economic and political power to the United States. China would like to emulate this dynamic. The imposition of tariffs on Chinese goods could be the first shots in the petro-yuan/petrodollar war of attrition. If a trade war between China and the United States erupts, China will not run from a fight with the United States and will retaliate by imposing its own sanctions on US exports. And to punish the United States financially, China could also offload its holdings of US Treasury bills estimated at $1.3 trillion. Hmmm! I don't see any mention of the increase in production out of the USA and the increase in exports to other countries from the USA. the USA will remain a major importer, and is becoming a major exporter. So its not going away, and the currency the U.S. will use for those imports and exports will be the dollar. China has a lot of work to do if they want the Yuan to compete with the dollar. Assuming they are willing to lift currency restriction and let their currency move around more freely. There may be some major risks in doing that. In any event the dollar isn't going away, but now it will have competition. 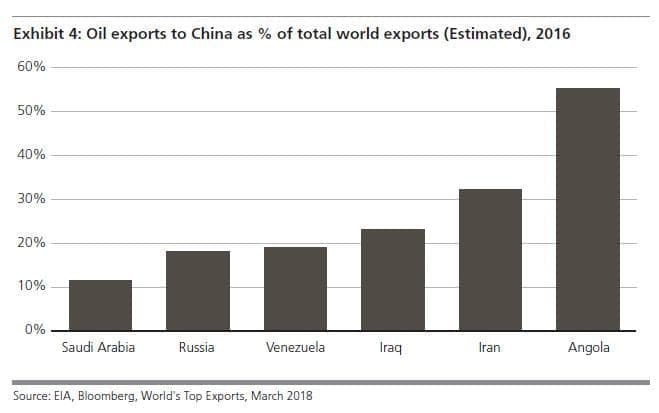 China is the worlds largest importer, but far behind the USA in oil production, and not an exporter. From a strategic point of view China's oil supply is potentially at far more risk than the USA. In time when we are all one big happy free trading world that doesn't make much difference, but in times of tension or conflict China is far more vulnerable than the USA to energy disruptions. So what. Once the USA can no longer be the global policeman, the other countries will fight to see who takes over. They might destroy each other trying to accomplish it. When the cops go away, the gangs take over. The world will miss the cops, after a few decades of the gangs. Google Rwandan genocide, Armenian genocide, ISIS atrocities, Holocaust, Pol Pot. That is a taste of life without a policeman. War and slaughter is the normal condition of man, not peace.